Creative instagram feeds and themes are why we exist. Our purpose is helping creative people, small business owners and bloggers get the most out of Instagram, and our favourite way of helping is providing creative licence to really make your Instagram feed your own. Let’s take a look at one of the easiest and most effective creative Instagram feeds, ‘The Checkerboard’ and see if it’s right for you. 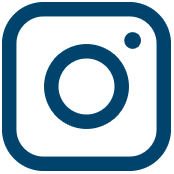 Instagram is an amazing tool that it lets you bring your brand to life visually. You can create an inspiring and personalised brand story whilst fostering a community that is attractive to your ideal customers. 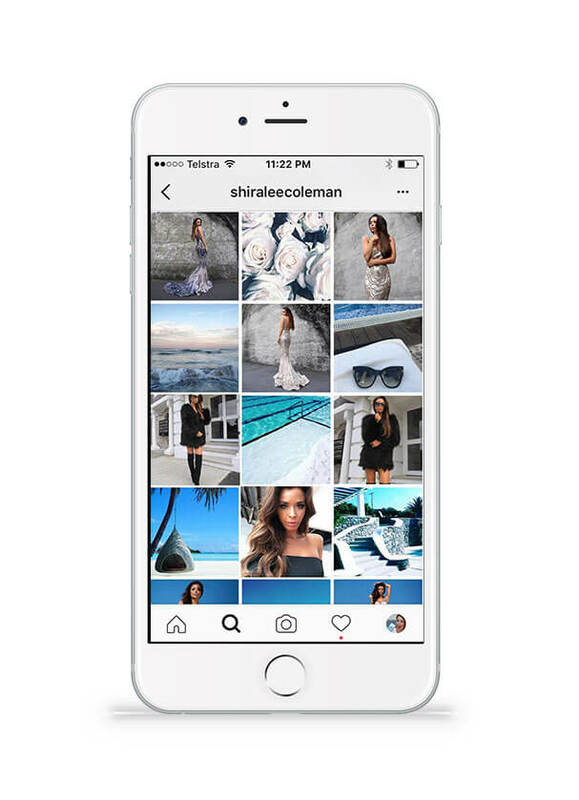 When it comes to selling your products and services on Instagram it’s important to remember it’s not about you – it’s about your customers. 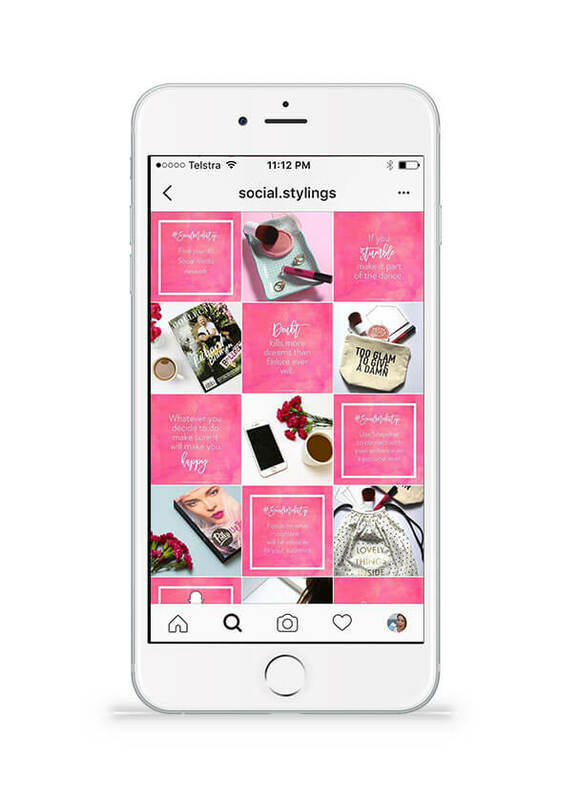 As a business there are so many ways you can style your feed it can be completely overwhelming. How do you possibly come up with a strategy that not only looks good but also posts a solid variety of content? A commonly used theme is the ‘checkerboard’ effect, where every second image is an alternative image, quote, or colour. The best part about the checkerboard is how easy it is to implement. There are such a wide variety of ways you can make this style your own that you can easily match it to your brand and use it to help achieve your business goals. You can put your own twist on the content. You might like to create a text only post that’s branded like Mackayla from @social.stylings. 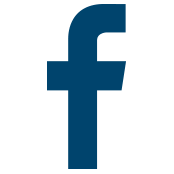 You may choose to use text based posts to feature quotes that your ideal audience would find relatable, or industry relevant tips or tricks, or even to pose a question directly to your followers on a variety of different topics. Whichever way you decide to go, it’s a perfect opportunity to ask your followers for their thoughts and opinions on a certain topic and get a conversation started on your feed. Remember – engagement isn’t just about followers and likes. Comments are a vital way to tell if people are engaging and connecting with your content, and make you rank higher in the Instagram algorithm. Hailey from @hail.o uses beautiful images and consistent font posts to create her beautifully relaxing Instagram feed. Sometimes it’s easy to get distracted by all the gorgeous photos on Instagram that you forget to post yourself! 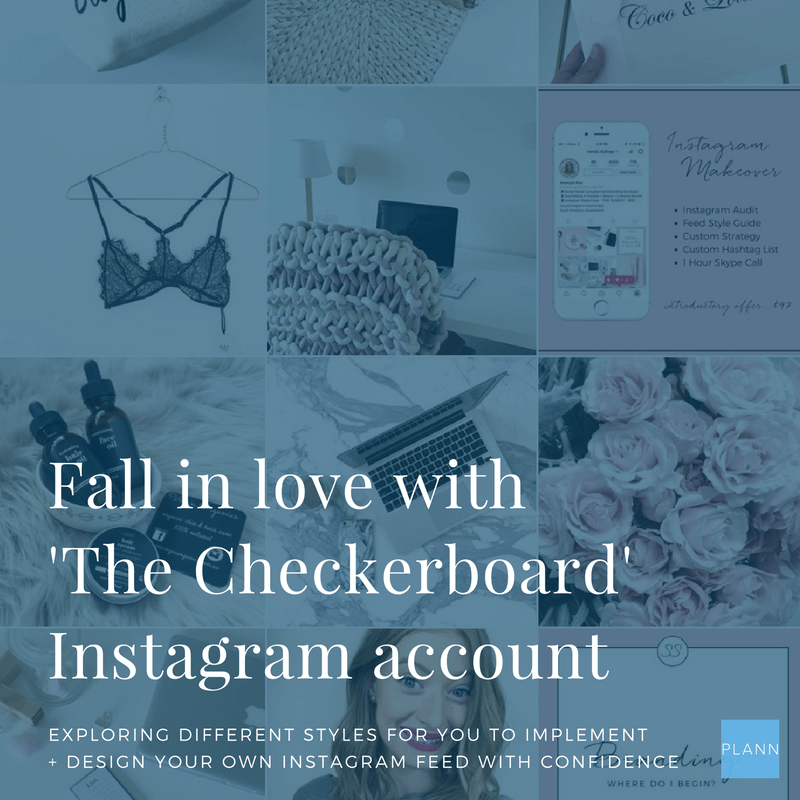 By implementing a checkerboard style feed it forces you to be accountable with your content, whilst also ensuring you are posting a consistent variety of engaging posts. It also helps keeps your feed regular. Your customers will know when to expect what type of content, meaning they are more likely to check in with you regularly if they know what to expect from your posts. Fashion blogger and influencer Rosie from @rclayton is a perfect example – her followers look forward to her beautiful captures just as much as her every-second-fashion statements. Rosie Clayton has a huge following and great engagement, using the checkerboard style to get the most from Instagram. Some Instagram users love sticking to the same colours, and some love being able to change schemes but yet still stay consistent with their gallery theme. Scrolling through Shiralee’s account changes colour magically using bright, beautiful photos. Want to implement a checkerboard style for your Instagram gallery but worried you won’t be able to imagine and plan how it looks? That’s exactly why we created Plann, our visual instagram designer and scheduler to visually curate your feed before you post. 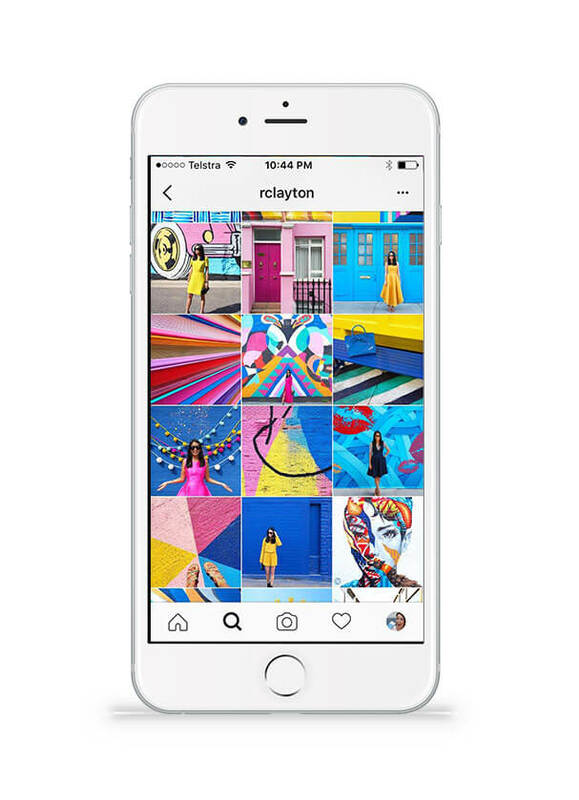 It means you can Drag and drop your images in a planning gallery to make sure your feed always looks on point. 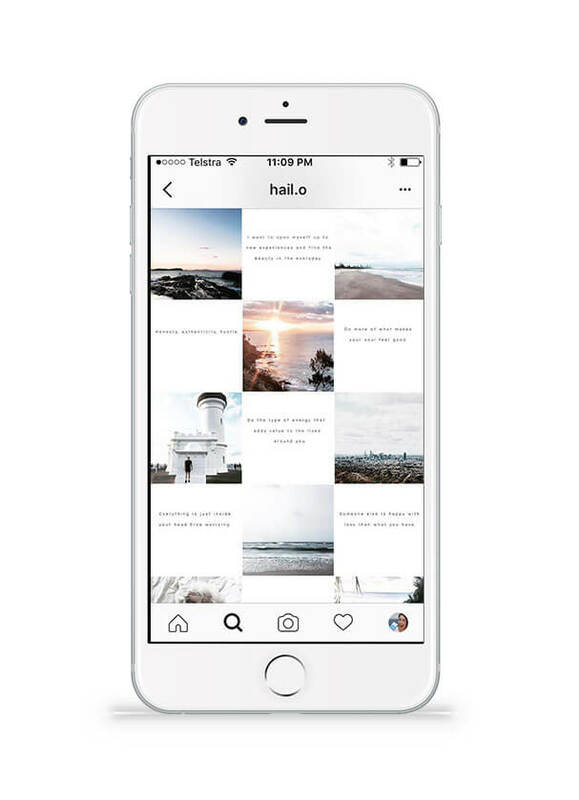 PreviousPrevious post:5 ways to instantly grow your Instagram engagement rateNextNext post:Buying Followers on Instagram, should you do it to give your account a boost?